Today I am posting about a perfect Tamil breakfast platter. This menu comes in marriage functions. In our marriage there was also uthappam. Usually the breakfast is completed with a cup of coffee. Traditionally it is laid out on a banana leaf. 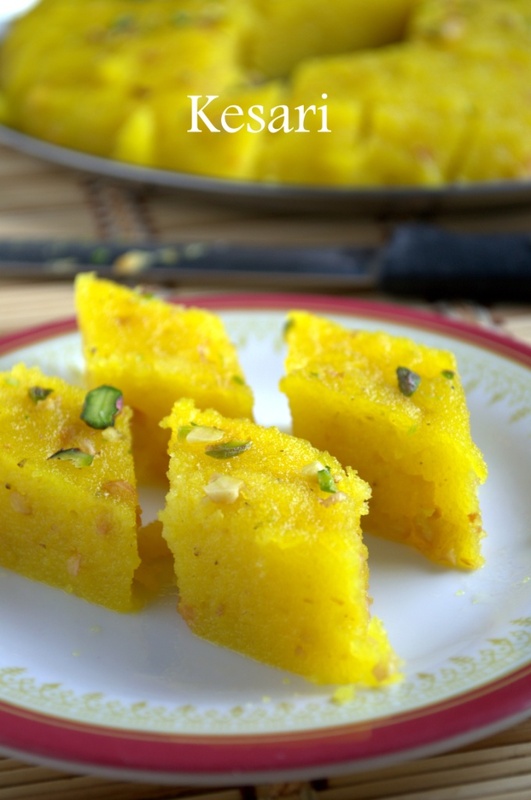 First comes kesari and it is followed by medhu vadai, chutneys and idli. 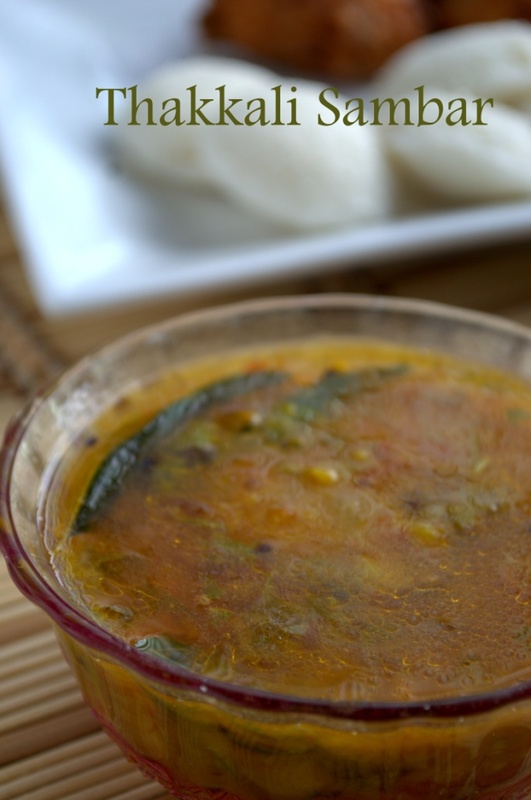 Once you finish the idli, ven pongal comes along with sambar and more chutneys. They also serve you sambar vadai and thayir vadai in small paper plates and finally comes the uthappam. I have missed out the uthappam because this itself was very heavy. After finishing the breakfast it is time for coffee and they serve piping hot coffee. After such a heavy breakfast, we skipped our lunch. 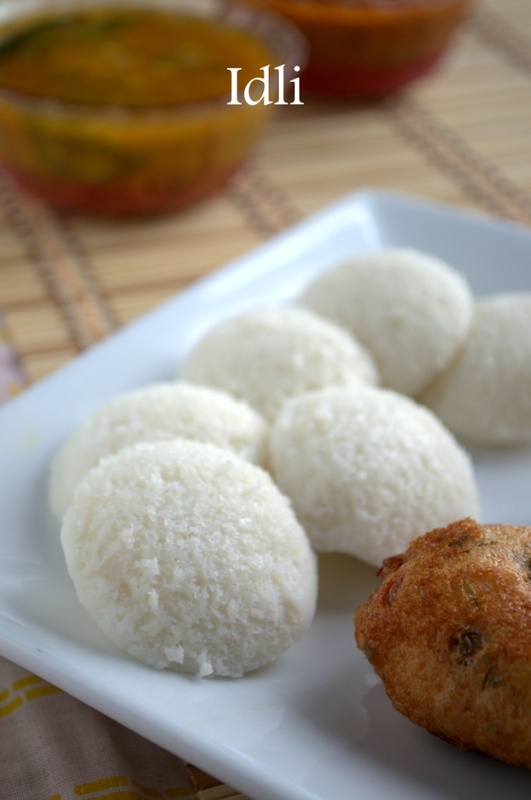 My daughter loved those mini idlis and she kept on asking for it till the end of the day. 1. 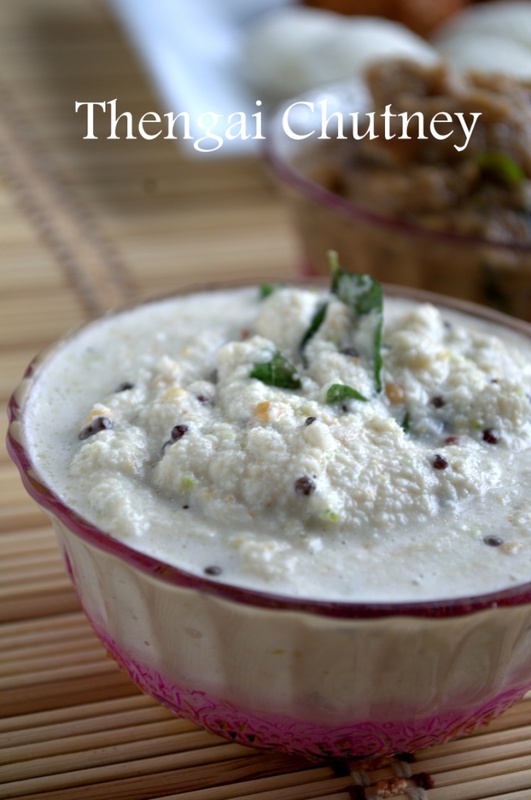 Mix half cup of curd with 1/4cup of water and dilute it. Place the vadas in this mixture until soft. 2. Place the soft vadas on the serving plate. 3. Mix curd with salt and top the vadas. 4. Sprinkle sev, chilly powder, black salt and coriander leaves. 1. 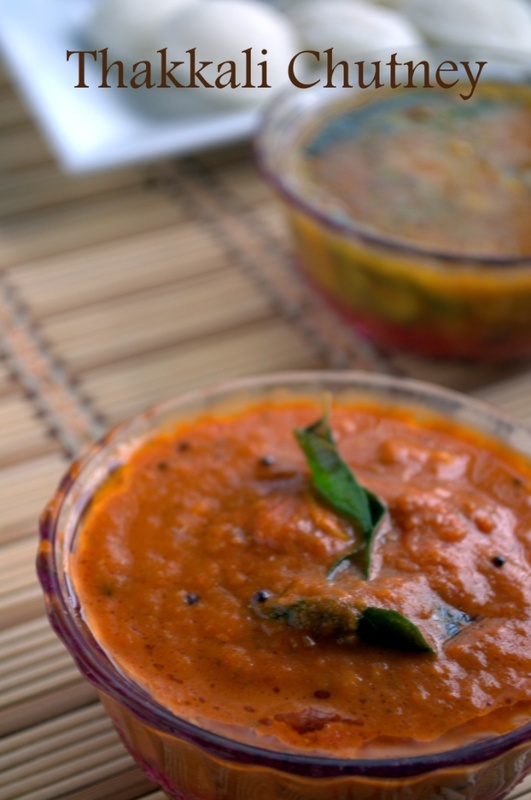 Pour hot sambar on the vadas and let it soak for 10-15minutes. 2. Place the soaked vadas on a plate and top with more sambar. 3. Sprinkle onion and coriander leaves. 4. For a nice crunch toy can also top it with sev. Good one Gayathri…the spread looks awesome and so delicious. You are making me hungry .. thali looks inviting and love all the items. Oh man.. you made all these for breakfast — Kudos to you. Everything looks awesome and delicious.. Beautiful clicks. Pakka south Indian wedding breakfast feast. Gayathri! that’s very mean..such lovely pictures! A breakfast to die for !!! Seeing the pics makes me hungry..
Omg, i need two stomach to eat all these yummy dishes..Super delicious platter.. Awesome Thali Gayathri!!!! thats a long list of chutnies!!! Very tempting pictures! Such a spread is simply unimaginable in my kitchen!! Wow, romba supera irukku, so many dishes..
What a super spread. A real breakfast buffet! 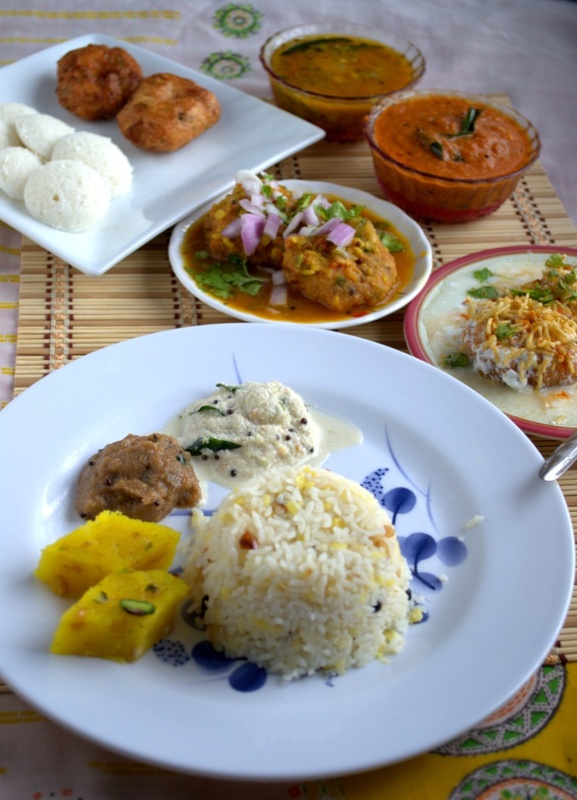 Such a wonderful and tempting thali…drooling over the pictures. ooh ! wonderful spread…. amazing one..
Oh Wonderful tamil Breakfast items. They are really mouth watering. 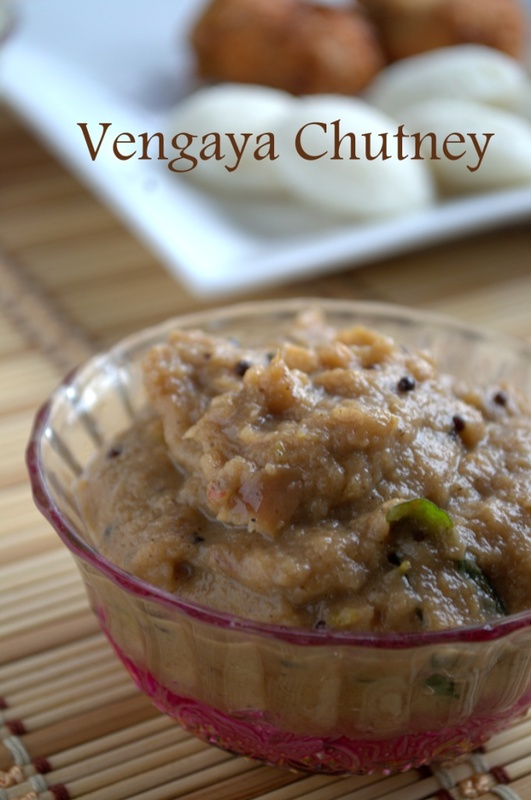 Please have a visit to my blog on south indian breakfast items and south indain rice recipes… here is my blog..
Free classified ads with photos….